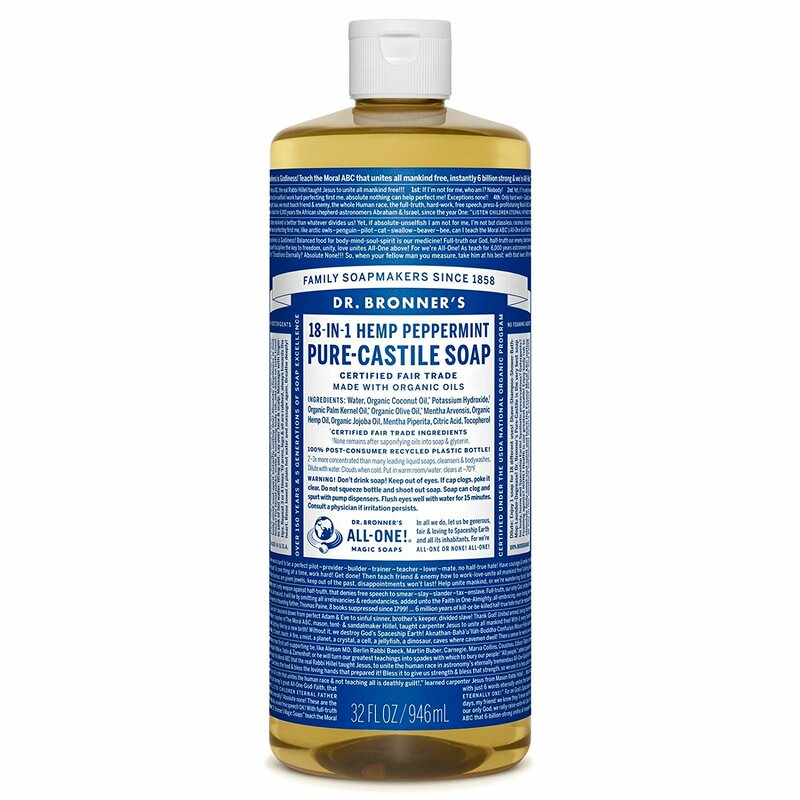 Among socially responsible companies, Dr. Bronner’s Magic Soaps, is very well known. It is over 50 years old. Total executive compensation is capped at five times the lowest-paid position. Charitable gifting to social and environmental causes matched after-tax income. Products are made with certified organic oils and contain no petrochemicals or synthetic surfactants. Dr. Bronner’s has signed the Co-op America Woodwise Pledge to be socially responsible through diminishing their consumption of forest tree-based materials and products. In the spirit of this pledge, their bar soap paper label and inner liner are now a 10% hempflax / 90% post-consumer recycled blend (Vanguard Recycled Plus from Living Tree Paper Co.) Their official letterhead is printed on this same paper. All office copy / printer paper is made from 100% post-consumer recycled paper. They now also silk-screen our cylinder bottles which are now 100% post-consumer recycled plastic in place of the million-plus paper labels they had used per year. 1% for the Planet® is an alliance of businesses that understand the necessity of protecting the natural environment. They understand that profit and loss are directly linked to the health of our environment. In addition, these businesses are concerned with the social and environmental impacts of industry. Become a member of this socially and environmentally progressive group. By contributing 1% of net annual sales to grassroots enviro groups, members of 1% for the Planet support these passionate groups and affect real change. And members receive other benefits: The satisfaction of paving the way for more corporate responsibility in the business community and the recognition, support and patronage of conscientious consumers who value members’ serious commitment to the environment. “The Body Shop believes that big business has a huge responsibility to use trade not just to make money but also to have a positive influence in the worldâ€¦As a global business, we trade with local communities, often in remote areas, who wouldn’t normally have the chance to trade directly with companies like The Body Shop. “Community Trade helps re-establish connections between customers and producers. How we spend our money affects the lives of people all around the world. Community Trade gives you the chance to spend your money where it will make the most difference, helping bring about change in communities around the world. By buying products containing Community Traded cocoa butter and shea butter, you make a difference to the lives of cocoa farmers and women producers in Ghana – and to the lives of their children and future generations; by buying Community Traded accessories, you support producers and their communities in India, Bangladesh and many more countries. “Community Trade is a targeted purchasing programme of accessories and natural ingredients from disadvantaged communities around the world. It is The Body Shop commitment to fair trade. We get good quality products at a fair price which covers production, wages and also enables communities to invest in their future. They get a sustained source of income which can be used for improving education or sanitation, building homes and modernising farming methods, to name but a fewâ€¦. But it is about far more than exchanging goods for money – it is also about the quality of the relationships involved. These trading relationships are based on trust and respect and aim to enable communities to work towards their social and economic goals. “Community Trade is a powerful and practical expression of our commitment to social change, supporting long-term, sustainable trading relationships with communities in needâ€¦. “Currently, around 500 products contain Community Traded natural ingredients and this number continues to grow. “Community Involvement is nothing new to The Body Shop – it is a concept that has always been an integral part of our business and is vital to us going forward into the 21st century. As a socially responsible business we campaign for the protection of the environment, human and civil rights and against animal testing within the cosmetics and toiletries industry. “Volunteering supports this work enabling us to positively contribute to the local, national and global communities in which we operate. We are proud of our employees’ enthusiastic involvement in their local communities and actively encourage their participation at the same time as considering the changing expectations of society and the growing environmental and ethical concerns. In understanding this we realize that our support is fundamental and continually explore imaginative new ways of working.